The Cordillera Blanca is a spectacular mountain range just outside of Peru’s capital, Lima. Thousands of avid trekkers and backpackers flock to this wondrous place every year, hoping to climb the mighty Huascaran, the world’s highest tropical mountain. With its beautiful snow-covered peaks that feed the mighty rivers of the Callejon de Huaylas, the Cordillera Blanca is one of the most stunning mountain ranges in the world. This mountain range isn’t just a feast for the eyes, but it is also a place that will get your heart racing. With its highest point reaching over 22,000 ft, and its base stretching an impressive 180km, Cordillera Blanca is a mountain climbers heaven. 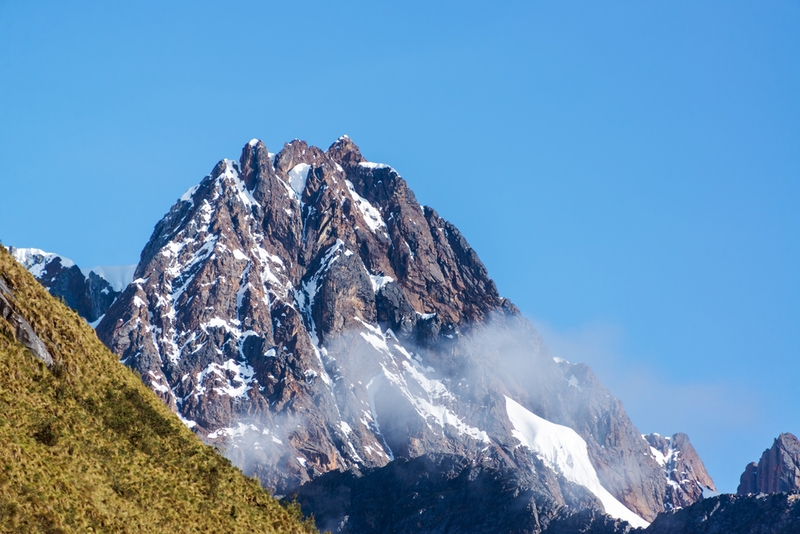 If you are a bit of a nature lover then this glorious mountain range has got you covered. The Cordillera Blanca has an impressive biodiversity, with over 112 registered species of bird, most of which are resident species. As with any mountainous area, there are a few things you must know before you set off to discover the magic of the Cordillera Blanca. From when you should visit, to the best way to acclimatise when hiking, we have all the information you will need right here. Lima, the capital of Peru. Photo credit: Shutterstock. As it’s just an eight-hour drive from Lima, the Cordillera Blanca is extremely easy to get to. 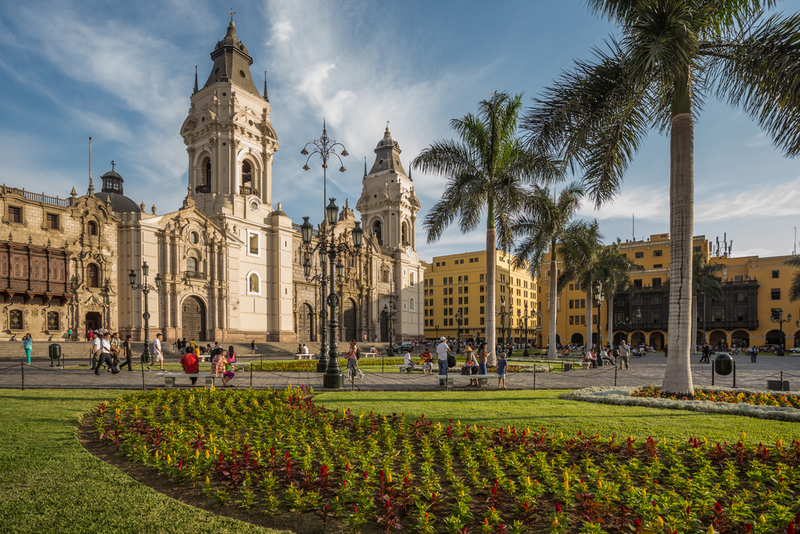 Travellers from all over the world can fly into Lima’s airport, and you don’t need to worry about any confusing visa applications because for stays up to 90 days, you don’t need one. From Lima airport you can travel by road or by air, and reach the mountains within a matter of hours. There is a very convenient bus that will take you all the way to Huaraz, a small city situated at the base of the Cordillera Blanca, in around 8 hours. Two of the most trusted bus companies in Lima are Cruz del Sur and Oltursa. Getting to the mountains is even easier now that there is a plane directly from Lima airport to Huaraz. Passengers can hop on this flight and be at the foot of the Cordillera Blanca in 50 minutes. 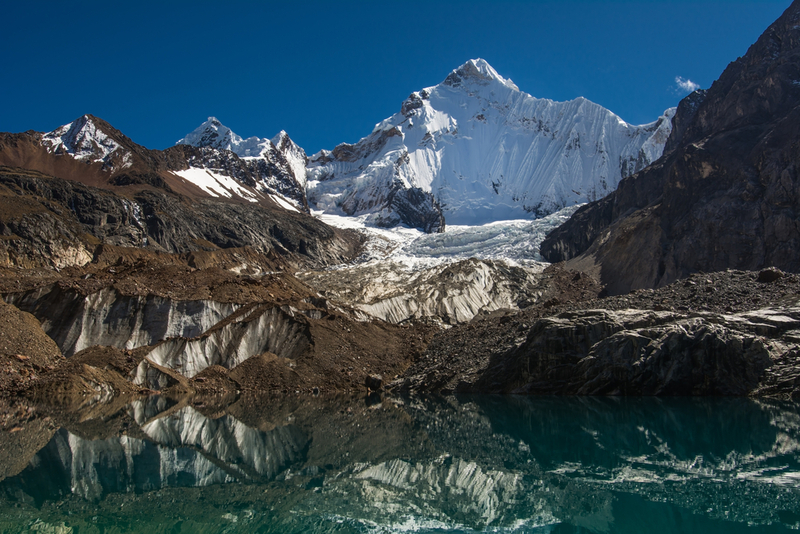 With its extreme elevations, weather in the Cordillera Blanca can change dramatically within a matter of seconds. One minute you can be happily trekking in your light summer wear, and then the next you are freezing cold and grabbing for your insulated sweater. It is said that the best time to visit is between April and September, with May to October being the driest season. Although it is possible to climb the Cordillera Blanca all year round, the trails can be extremely dangerous in the wet season, and some of the more popular trekking routes, such as the Santa Cruz and Huayhuash trails, are closed during this season. The only perk to visiting the Cordillera Blanca during the off-season, is that the trails are extremely peaceful and virtually empty. When hiking the Cordillera Blanca, you will find yourself easily hitting around 13,000 feet within a couple of days. So it’s important to properly acclimatise then ascending this mountain range. Huaraz is a great place to do this as it conveniently lies right at the foot of the Cordillera Blanca, and sits a comfortable 10,000 feet above sea level. From this lovely little city you can take a number of one-day excursions which will aid in your acclimatisation, and keep you busy while you wait. Huaraz is a seemingly unassuming town when you first arrive, but take a few steps towards the Plaza De Armas and you will absolutely change your mind. Here you will see tonnes of backpackers and exited travellers enjoying a drink in one of the many lively bars. 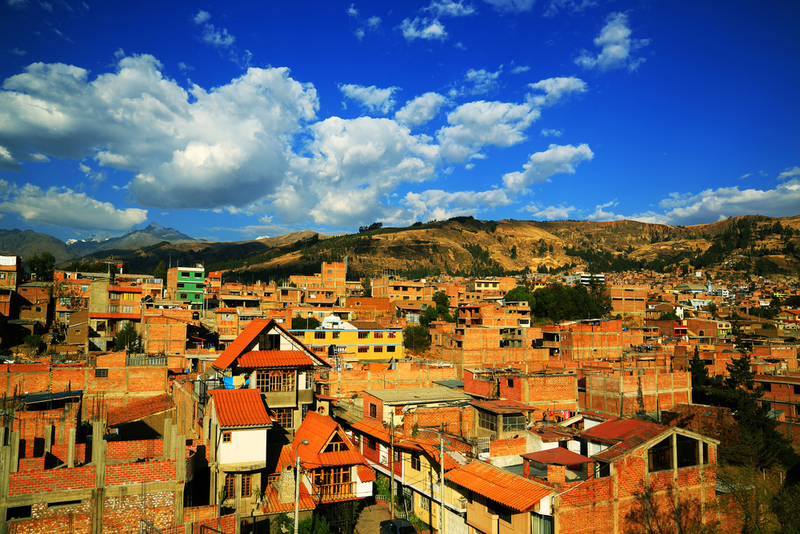 There are also countless hostels and cheap accommodation options in Huaraz, so you can acclimatise and stay on budget. Probably the most popular thing to do in the Cordillera Blanca is to trek amazing mountain trails. There are 9 official trekking circuits available that run from 1 – 10 days, so there is something for every level of hiker. Some of the shorter circuits will take you around the two beautiful turquoise lakes, the 69 and the Churup. On the other hand, the longest circuit will take you all the way up to Alpamayo, ‘the most beautiful mountain in the world’. Cordillera Blanca is also suited to both beginner and experienced mountain climbers. With Mount Ishinca’s peak sitting at a reachable 18,00 ft it is the perfect mountain for first timers to conquer. The more experienced climbers may wish to scale the 5th largest mountain in South America, Huascaran. This humongous tropical mountain stands a jaw-dropping 22, 000 feet tall, and is the main goal of most climbers visiting the Peruvian Andes. For those of you that prefer to be on wheels, there are also many amazing mountain bike trails. There are many route length options, from one day to week-long trips, the most popular being a five-day circuit that passes the mighty Mount Huascaran. Another fun option is to take out a 4X4 and speed between the Callejon de Huaylas and the Callejon de Conchucos. Shoutout to alll nature, bird, photography and South America lovers. The wondrous, breathtaking, mighty Cordillera Blanca is the perfect location where it all come together. Take your gear and come over to Peru. 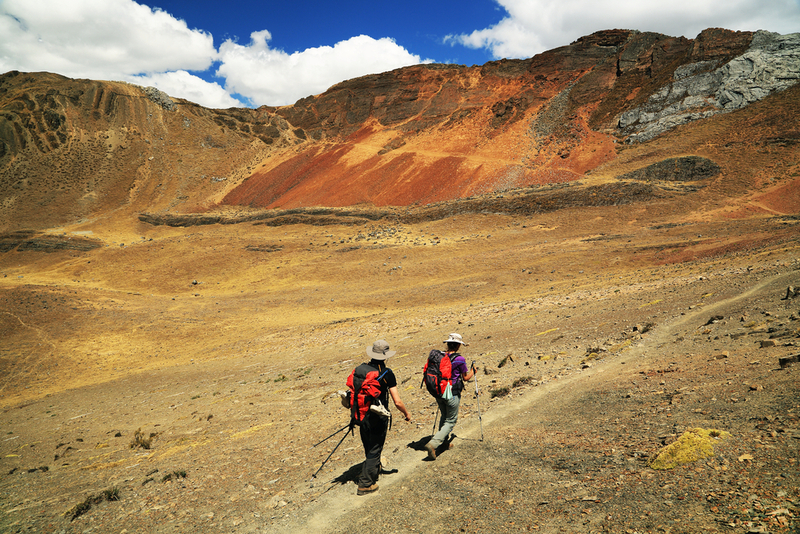 Chimu Adventures will create a tailor-made tour that suits all your wishes!